California law requires motorists to have car insurance. However, despite this, thousands of people drive without financial responsibility resulting in an uninsured motorist claim if an accident happens. 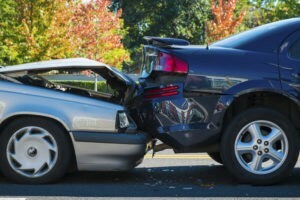 If you or a loved one was in a car accident with a driver who did not have auto insurance, you need an experienced personal injury attorney to help you make a claim or file a lawsuit against the person responsible. Call Russell & Lazarus APC today at (949) 851-0222 for help. Liability coverage applies to injuries, death, or damage that you cause to someone else. It does not, however, cover your injuries or damage to your vehicle if you are responsible. It also does not cover injuries and damage caused by an uninsured or underinsured motorist. An uninsured motorist is someone who has no insurance, and an underinsured motorist is one who does not have enough to cover all of the damages they created. You may also opt to take out a policy for Uninsured Motorist Coverage (UMC), which is typically sold with Underinsured Motorist Coverage (UIM). These policies will cover you if someone hits you and they do not have any or not enough insurance to cover the damages. Your bodily injuries and property damage may be covered by an uninsured motorist claim if you have UMC/UIM insurance. Uninsured motorist bodily injury (UMBI) – This will pay for injuries to you and anyone else in your car at the time of the accident. Uninsured motorist property damage (UMPD) – This will pay for damages to your car and other personal property damaged in the car accident. When the responsible party does not have insurance, it can be difficult to recover compensation for medical bills, lost wages, and other losses. You may make an uninsured motorist claim through your own policy or you may sue the person responsible in court. Although many people who do not have insurance also do not have assets you can recover from a lawsuit. However, a skilled attorney can review your case and determine if a lawsuit is the right course of action for you. We can look at property records and discover other assets that a person might have to pay for your losses. If you need to make an uninsured motorist claim through your own insurance company, we can help as well. Your insurance company may treat you as an opposing party. The insurance company will try to pay as little as possible for your claim. Thus, it is helpful to have a knowledgeable attorney on your side throughout the process. If you sustained injuries in a car accident caused by an uninsured driver, you may need to file an uninsured motorist claim. This will require making a claim with an insurance company, demanding compensation, and negotiating to get a fair settlement. It may also require filing a lawsuit against the person responsible. You need someone on your side who not only is experienced with the uninsured motorist claim process, but who will also fight for you throughout the case. Call Russell & Lazarus APC today at (949) 851-0222 for a free and confidential consultation.